Why He’s Top 40: He’s adding to Edmonton’s jazz scene through his music, including an award-winning album, while also mentoring future musicians as a professional educator. Take, for example, the album Dubyk wanted to record with Juno-winning jazz artist Brad Turner. After meeting the Vancouver artist only once at a MacEwan University jazz workshop that Dubyk helps organize, he called Turner with the proposition. Not only was Turner happy to work with Dubyk, but he suggested two other talents join in. “It was a good lesson to learn – that all you have to do is ask people and something good will come of it,” says Dubyk. 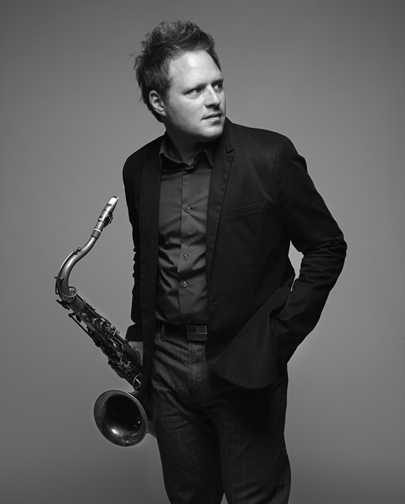 Dubyk remembers hearing jazz recordings as a kid and thinking, “I want to do that; that’s the coolest thing I’ve ever heard.” Years of violin and saxophone lessons led him to pursue a degree in jazz studies, and in 2007 he released his first album, The Way You See It.